End it... ...dramatic come from behind victory for the once dead in the water redskins. Just one day after herkimer college sophomore derrick felder was named n-j-c- a-a division three player of the year - generals head coach matt lee has been named the nation's coach of the year. Lee lead herk to its first n-j-c-a-a division three championship since 1991 - going 31-1 in the process. He was also named coach of the tournament for the national tournament after their run. The herkimer grad has been coaching the generals since 2003 - and has compiled a 405-123 record. I caught up with him tonight - where he said that this honor is the cherry on top of what was a magical season. 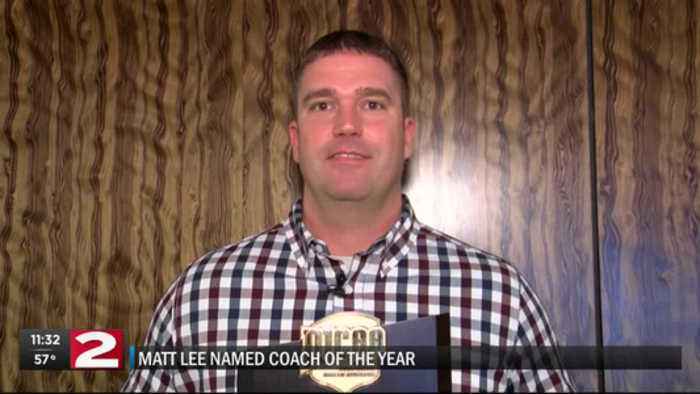 Matt lee: it's great, it's oneoe things you aays wt to be apart of, it's hard to set out to have that as your goal because it's really hard to do. I'm just happy and proud to be around those kidsho, they had goals, we all had goals, and for them to put in the work and effort that they did to accomplish their goals lead to this one for me.